(Phone lines close at 5.30pm on Friday). Showroom visits by appointment only. 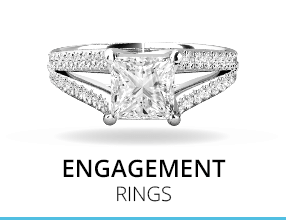 A British family run diamond jewellery design studio based near Hatton Garden, London. 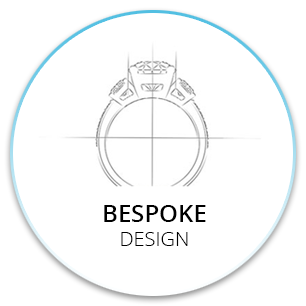 We are specialists in the design & manufacture of diamond jewellery and we have been in the industry for over 40 years. All our jewellery is designed and created in-house at our workshop / studio in London by the Purely Diamonds team. If you have any questions, please do not hesitate to contact us. When shopping online, most customers have a few questions. We've collated the most popular questions and information that we've been asked over the years with the goal to streamline your buying experience with us. 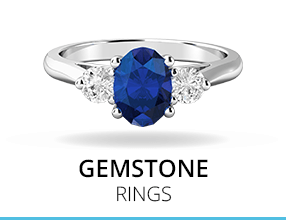 We also offer you the ability to visit us and view the rings in person. 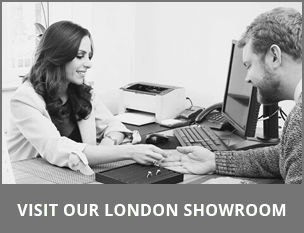 You can book a visit to our London showroom. How is my item delivered? What is your packaging like? 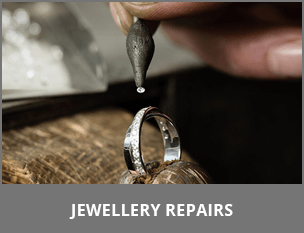 How do I insure my jewellery? Go for a design that is a little less ordinary with this eye catching diamond dress ring, featuring dazzling Round Brilliant Cut diamonds all held in beautiful claw settings. The best in modern styling and abstract design, this unique diamond ring has been crafted in 9ct yellow gold. You can book an appointment to visit one of our London showrooms and view this ring and any other designs you may be interested in. You will be looked after by a member of our team who will be able to answer any questions and provide any advice you may need. Our showroom prices match our website prices, so this personal service comes at no extra cost to you. If you would like to see a sample of your ring before you decide to purchase and don’t have time to visit one of our London showrooms, our Silver Sample service is a great option. The silver sample will be an exact replica of the choosen ring but in silver and set with cubic zirconia stones (diamond replicas). 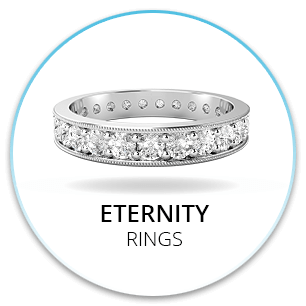 We have finance options available for rings of a minimum value of £500 and to permanent UK residents only. You have the option of 0% interest over 6 or 12 months as well as 24, 36 or 48 months interest bearing. The minimum deposit is 10% and will be taken when you submit your order to us. If you need this item urgently or perhaps for a very specific date, please let us know and we’ll do everything we can to deliver in time. 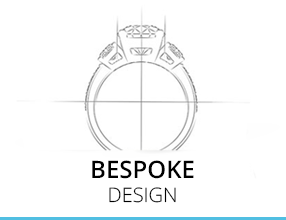 Make sure you write your deadline in the 'Special Requirements' section when you place your order, you can find this on the product page just below where you select the ring size required. We supply 'eye clean' SI1 clarity diamonds (except Emerald cut diamonds). Most other jewellers do not guarantee that SI1 will be eye clean. If you would like more information please read our Diamond Clarity information. 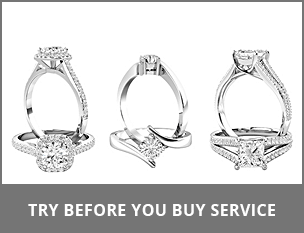 Need help choosing a ring size? All our gift packaging is made to measure for the jewellery they house and are faux-leather lined for ethical luxury. You may return your item to Purely Diamonds as sold within 30 days of receipt for a full refund or an exchange for another item. 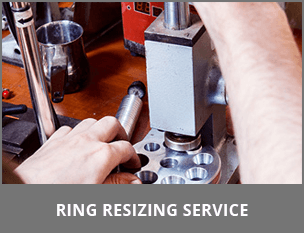 Your first resize is free of charge within 30 days of purchase. 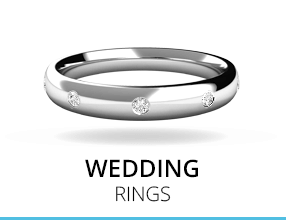 After this, resizing costs a flat rate of £45.00 per ring. Amazing company - Can't recommend them enough!! All display boxes are made to measure for the jewellery they house and are lined with faux suede. 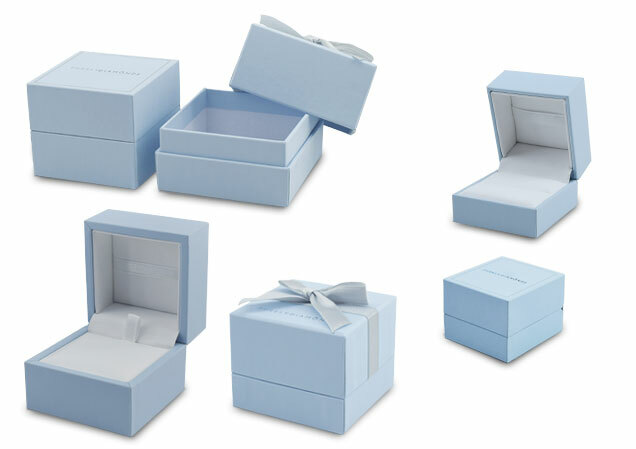 Earring and pendant display boxes are fitted with special inserts to display them in the best possible way. 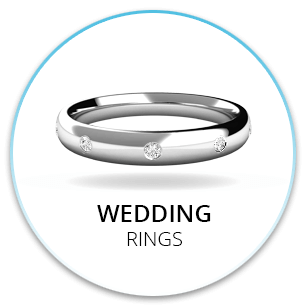 We also provide display boxes for pairs of wedding rings, with an insert that allows for both rings to sit comfortably within the box, very useful for your wedding day! If you have a preference for the smaller box (it's very good for engagement rings as it's nice and small!) 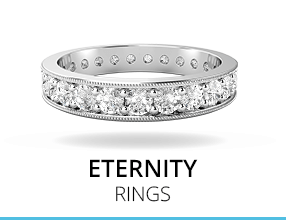 please mention this in the Special Requirements box when placing an order or email us at sales@purelydiamonds.co.uk. Our standard presentation box is 67mm wide, 67mm long and 60mm deep. The smaller presentation box is 52mm wide, 47mm long and 37mm deep. 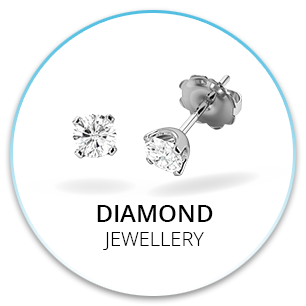 We've spent years creating diamond jewellery and supplying it to retailers. 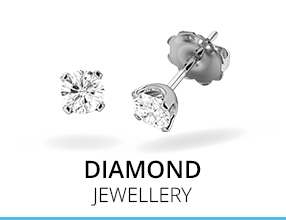 Now, through the Purely Diamonds online store, we are able to bring our range of jewellery direct to our customers. 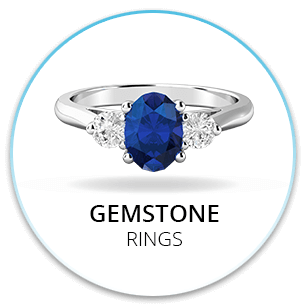 Because there are no wholesalers, no middlemen and no third party retailers involved, we are able to offer you beautifully made diamond jewellery at prices that are unbeatable value for money. We have one of the highest scores you can achieve on TrustPilot and that’s thanks our excellent customer service team.